The first thing to check would to be to see if you are on the latest version of CloudSpot. View our Changelog here to see the latest release version. 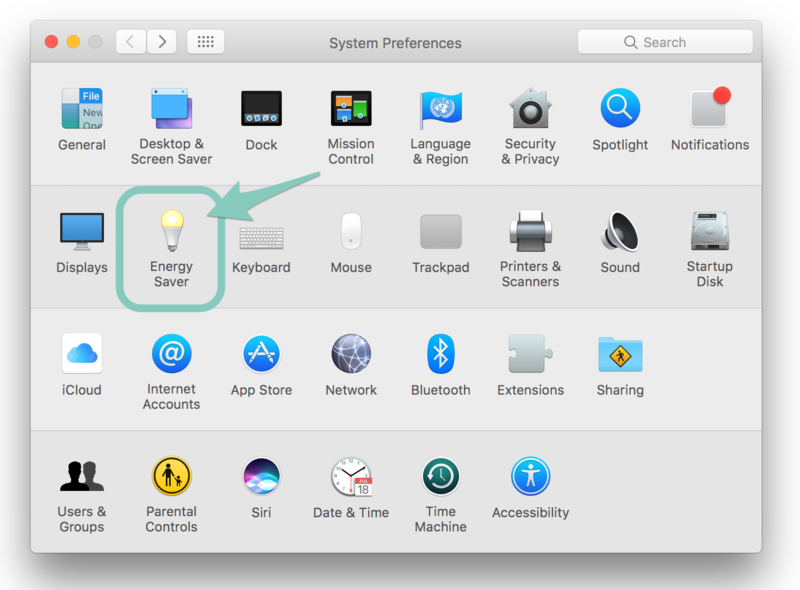 Also your Energy Saver preferences may be interfering and interrupting uploads if you have your computer set to go to sleep after a set period of time. Having your display go to sleep will not affect uploads, however your upload will timeout if your computer goes to sleep. 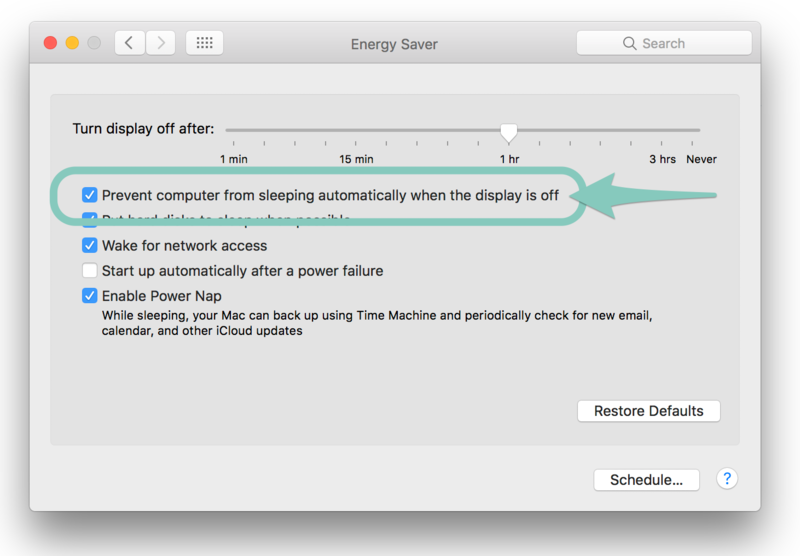 For Mac's, in your System Preferences > Energy Saver settings, make sure you have the box checked for "Prevent computer from sleeping automatically when the display is off"
The first step to see what might be causing slow upload speeds would be to check your current internet connection. We recommend using http://speedtest.net to get a baseline on your upload and download speeds. Your internet speeds will vary based on your Internet Service Provider (ISP) and their bandwidth in your location. Also, the file sizes and total amount of images you are uploading will also affect total upload time. If after verifying your connection you see that your uploads are going slower than expected, feel free to reach out to us at [email protected] and we can do our best to assist! *NOTE* Any disruptions/throttling/timeouts in your connection to CloudSpot's upload servers will result in images appearing as "failed" for your upload. But don't worry, once all of your images in that collection have uploaded, you'll be able to immediately retry those failed images!